Part two of three, the comic explores Max's fall from police detective to bar stool regular in the seediest watering hole in Jersey. 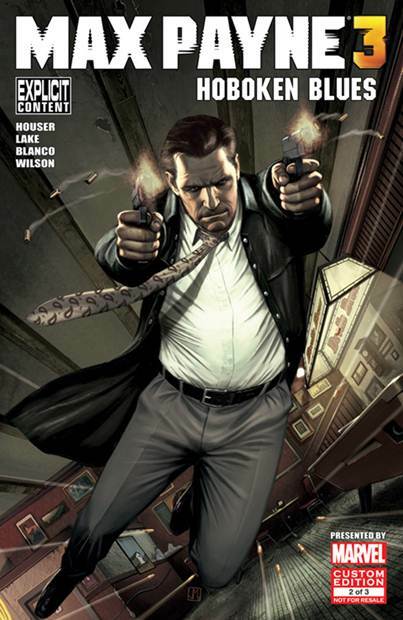 Written by Dan Houser and Remedy's Sam Lake, and featuring cover art by Jorge Molina with pencils and inks by Fernando Blanco, “Hoboken Blues” is loaded with flashbacks to Max's past that help to explain how and why he's at where he's at in Max Payne 3, including the fallout from his actions in Max Payne 2 that led to him becoming a semi-permanent fixture at a dive bar on the other side of the Hudson. You can grab the issue (for free) along with the first part, which is still posted, here.